Police cars in a Silverthorne incident during a situation involving an armed individual in a residential building. 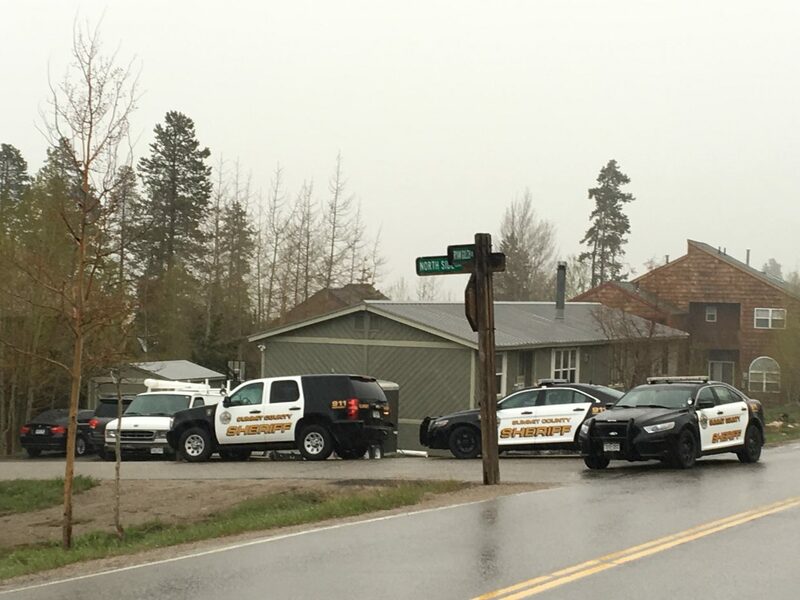 UPDATE (7:49): The Summit County Sheriff’s Office said in a news release that deputies initially responded to a harassment call at approximately 4:53 on the 500 block of Ryan Gulch Road in Wildernest. One suspect reportedly barricaded himself alone in a room saying that he was armed with a gun. A SWAT team has arrived on scene. A safety perimeter has been established, and the sheriff’s office asks that the public stay away from the area. UPDATE (7:15 p.m.): According to Dillon Police Department Detective Chris Scherr, the police will be closing Ryan Gulch Road, near Buffalo Drive, for an indeterminate amount of time, due to the ongoing incident. The original call for the incident came through at 4:53 p.m. “At this time, that we know of, there is just one person involved,” Scherr said. He added that there were approximately 14 officers on scene as of 7:15 p.m., and they were waiting for additional resources to arrive. UPDATE: Police have responded to a situation involving an armed individual in a building in Silverthorne. ALERT: There is a police emergency in Wildernest. Please shelter in place until further notice. Do not call 911 unless it’s an emergency. We will update as more information becomes available.